The robins have arrived and Spring is only days away. The winter wasn’t to bad this year in Short Hills, but it is that time again to have your tree’s cared for. Here are 7 Reasons to care for your trees now. Large branch removal with a crane. Get your trees pruned before the birds build their nests. As nature lovers, we hate to disturb any wildlife. 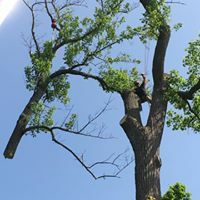 By getting your trees pruned early (Before the end of April) we can get the limbs pruned back, trees in a nice beautiful shape and structurally healthy. Plus, the birds will build their nests on healthier branches. Clear out those dead branches. Nothing worse than seeing a tree full of leave…accept for that one spot. Or that big dead branch among the leaves. Ready to crash down with any summer storm. Get those trees pruned before the bugs arrive. Insect damage on trees can kill the tree in a matter of a year or two. By getting the limbs cut back now, the tree has time to heal over and not attract the bugs of summer. Savings and faster service. Most tree services are a little slow in the spring as people assess their properties. By getting your trees cared for in the early Spring, you can get an opening in their schedule easier and normally at lower prices. Think supply and demand. Get the full bloom of your trees, by cutting out the older branches that are more likely to grow more branches and less budding blooms. Get your trees shaped so when the leaves come in the summer, your tree has that perfect shape and adds plenty of curb appeal or a nice looking tree to look at from the back patio on a warm Summer’s eve. Save your tree. Over the winter trees go through a lot of stress. Rain gets into cracks and crevices and then freezes. Expanding and doing damage to the structure of big limbs and split trunk trees. The value of a large beautiful tree on your property is priceless. A 40 year old oak can’t be replaced. So there you have it. Seven good reasons to have your trees cared for this Spring. Providing You Great Tree Service Since 1964. 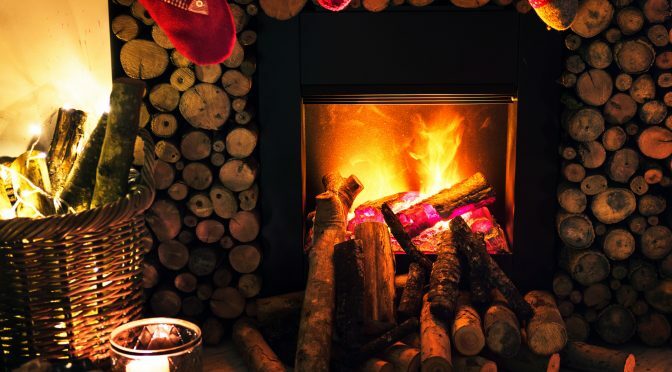 Because Brennan’s Tree Service, cares about your safety when burning firewood, we put together these helpful tips to burn your firewood safely this season. Get an annual chimney check. Have chimneys inspected annually, and cleaned as necessary, by a qualified professional chimney service technician. This reduces the risk of fires and carbon monoxide poisonings due to creosote buildup or obstructions in the chimneys. Keep it clear. Keep tree branches and leaves at least 15 feet away from the top of the chimney. Install a chimney cap to keep debris and animals out of the chimney. Build it right. Place firewood or firelogs at the rear of the fireplace on a supporting grate using the top-down method. Keep the hearth area clear. Combustible material too close to the fireplace, or to a wood stove, could easily catch fire. Keep furniture at least 36” away from the hearth. Use a fireplace screen. Use metal mesh or a screen in front of the fireplace to catch flying sparks that could ignite or burn holes in the carpet or flooring. Install smoke and carbon monoxide detectors. Place detectors throughout the house and check batteries in the spring and fall. When you change your clocks for Daylight Savings Time, remember to check your batteries. Never leave a fire in a fireplace unattended. Before turning in for the evening, be sure that the fire is fully extinguished. Supervise children and pets closely around wood stoves and fireplaces. The CSIA recommends annual inspections performed by CSIA Certified Chimney Sweeps. These chimney sweeps have earned the industry’s most respected credential by passing an intensive examination based on fire codes, clearances and standards for the construction and maintenance of chimney and venting systems. The National Fire Protection Association also recommends that all chimneys are inspected on an annual basis.